We believe the Bible (the 66 books of the Old and New Testaments) is the Word of God, written. As a “God-breathed” revelation, it is thus verbally inspired and completely without error (historically, scientifically, morally, and spiritually) in its original writings. While God the Holy Spirit supernaturally superintended the writing of the Bible, that writing nevertheless reflects the words and literary styles of its individual human authors. Scripture reveals the being, nature, and character of God, the nature of God’s creation, and especially His will for the salvation of human beings through Jesus Christ. The Bible is therefore our supreme and final authority in all matters that it addresses. We believe that the physical universe, the realm of nature, is the visible creation of God. It declares God’s existence and gives a trustworthy revelation of God’s character and purpose. In Scripture, God declares that through His creation all humanity recognizes His existence, power, glory, and wisdom. An honest study of nature — its physical, biological, and social aspects — can prove useful in a person’s search for truth. Properly understood, God’s Word (Scripture) and God’s world (nature), as two revelations (one verbal, one physical) from the same God, will never contradict each other. We believe in one infinitely perfect, eternal and personal God, the transcendent Creator and sovereign Sustainer of the universe. This one God is Triune, existing eternally and simultaneously as three distinct persons: Father, Son, and Holy Spirit. All three persons in the Godhead share equally and completely the one divine nature, and are therefore the same God, coequal in power, nature, and glory. We believe that Jesus Christ is both true God (the second Person of the Trinity) and true man (the Incarnate Son of God). We also believe in the great events surrounding Jesus Christ’s life and ministry, including: His eternal preexistence, His virgin birth, His attesting miracles, His sinless life, His sacrificial death on the cross, His glorious bodily resurrection from the dead, His ascension into heaven, and His present work in heaven as High Priest and Advocate. He will return in glory to resurrect and judge all mankind. We believe that the Holy Spirit, the third Person of the Trinity, is indeed a Divine Person, coequal with the Father and the Son. We also believe in the ministry of the Holy Spirit in salvation, a ministry which includes anointing and glorifying Christ, convicting men of their sin, bringing about the regeneration of lost sinners, and indwelling believers and empowering them for godly living and spiritual service. We believe God created mankind in His image and likeness (having rational, moral, relational, and spiritual capacities) to fellowship with Him and give Him glory. Human beings are therefore the crown of God’s creation (possessing inherent dignity and moral worth), and thus distinct in kind from all other life on earth. Adam and Eve, the first human beings, chose to rebel against God and go their own autonomous way. As a result, all of mankind became separated from God, the image of God in man distorted, and the sinful nature passed on to all their progeny. Because of original sin (which includes both corruption and guilt), unregenerate human beings are incapable of pleasing or commending themselves to God. The only remedy for mankind’s pitiful predicament is redemption through faith in Jesus Christ. We believe God has acted sovereignly to bridge the gap that separates people from Himself. He sent His Son, born of a virgin, attested by miracles and by a sinless life, to bear the full penalty for humanity’s sin. Jesus Christ suffered and died in the place of sinners, thus satisfying the Father’s just wrath against human sin, and effecting true reconciliation between God and mankind for those who believe. In the atoning death of Christ, both God’s love and God’s justice are fully manifested. The righteousness of Jesus Christ in perfectly fulfilling the law of God has been graciously credited to all believers. Redemption is solely a work of God’s grace, received exclusively through faith in Jesus Christ, and never by works of human merit. We believe justification is a judicial act of God’s grace wherein He acquits a person of all sin and accepts that person as righteous in His sight because of the imputed righteousness of Christ. Justification is strictly a work of God’s grace, apprehended through faith alone, and solely on the account of Christ. We believe Jesus Christ rose bodily from the dead, conquering sin, death, and all the powers of Satan. The resurrection is God’s historical affirmation and vindication of Jesus Christ’s unique identity, mission, and message. Historical evidence of the resurrection is manifest in Christ’s empty tomb, His many resurrection appearances, and in the emergence of the Christian church. Jesus Christ now resides at the right hand of the Father, and lives to indwell all who recognize their sinfulness, who repent, and who turn their lives over to His authority. We believe the universal church is the spiritual body of Jesus Christ (its Founder, Head, and Shepherd) and that it encompasses all true believers at all times and places. The function of the church is to carry out the Lord’s expressed will through the power of the Holy Spirit. One of the central purposes of the church is to preach the Gospel (in both word and life), the good news that humankind can find salvation from sin through faith in Jesus Christ. All people who have placed their faith (confident trust) in Jesus Christ for salvation belong to the universal church and are, thus, the people of God. This community of believers is made up of people who are neither perfect nor sinless, but by grace their lives are coming more and more under the control of the Holy Spirit, expressing His love, joy, peace, and other Christ-like qualities. We believe that a local gathering of believers called an “assembly” is a fellowship of Christians who have placed their implicit trust in the finished redemptive work of Christ, have been baptized by immersion and have expressed a desire to gather together in a New Testament manner. We believe the Word of God teaches the priesthood of all believers and as such we do not have ordained pastors or clergy. Elders, evangelists and others who are gifted in teaching lead the work of the church. Modern day teachings followed by charismatic groups such as, speaking in tongues, healing and repeated baptism of the Holy Spirit, are believed not to be according to the teachings of the scriptures for today. We believe that a distinction is made between the universal church, which is the Body of Christ and encompasses all believers and the local church or the assembly, which is a company of believers, gathered according to the scriptures in the Lord’s Name. 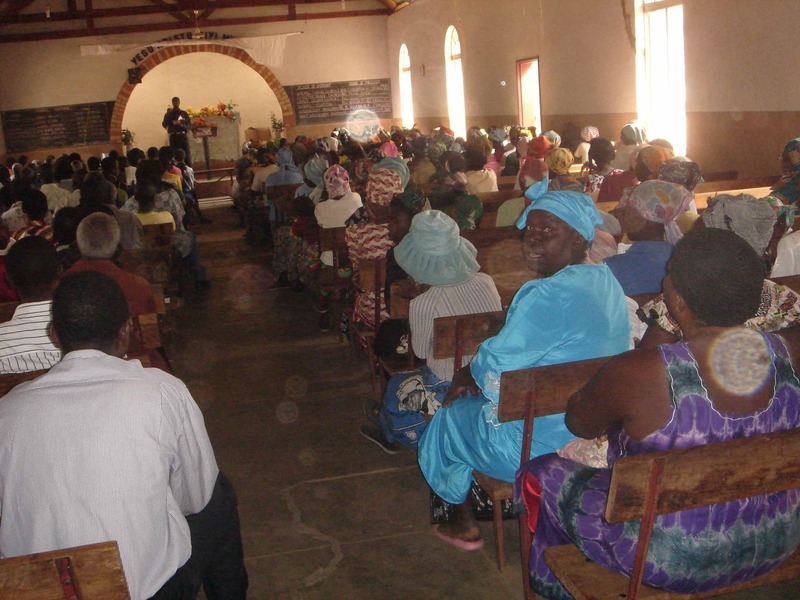 In church meetings, the scriptures teach that the women should wear head coverings and that they do not participate audibly in teaching or prayers. We believe the Lord Jesus Christ will return to this earth, personally, bodily, and visibly to establish his glorious reign in a kingdom that will never end. As the sovereign Lord, He will resurrect and judge all humanity. Those who have received His offer of life through the Gospel will go to eternal blessings in heaven; those who have rejected it, to eternal conscious torment in hell. We look forward to the blessed hope, Christ’s Second Coming in glory. We believe Jesus Christ is the only way of salvation. And since Christ has commissioned His people, the church, to go into all the world to disciple, to baptize, and to teach everyone everywhere to obey His Word, we desire, by His grace, to play our part in reaching the world with the Gospel of Christ.